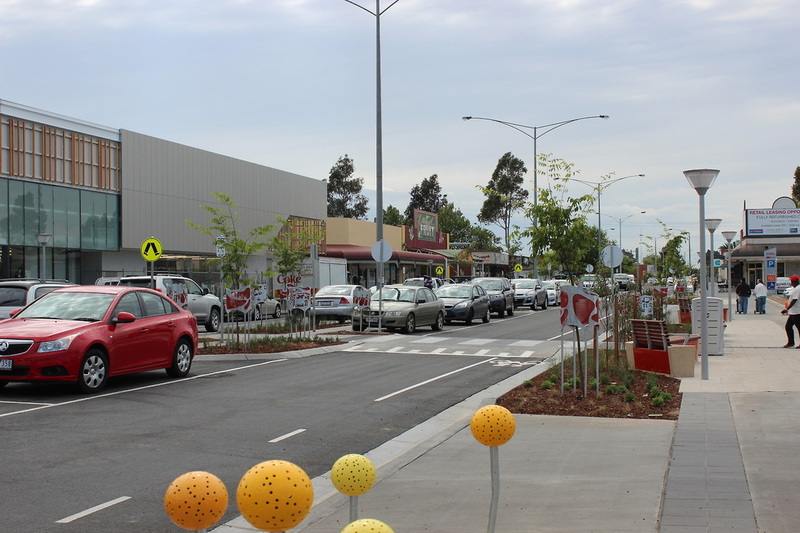 The redevelopment of the Vaughan Street precinct in central Shepparton was completed in 16 weeks with multiple components and intricate streetscape design that we hope has really taken the judges eye.. 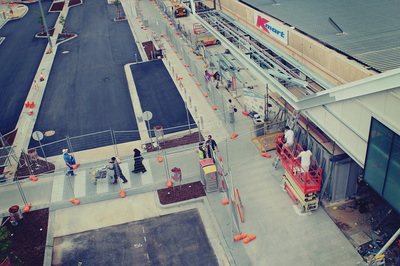 The redevelopment of the Vaughan Street Precinct (now called Vaughan Central) required the first stage of these three major stages to enhance pedestrian access as well as the road network servicing bus and taxi services. 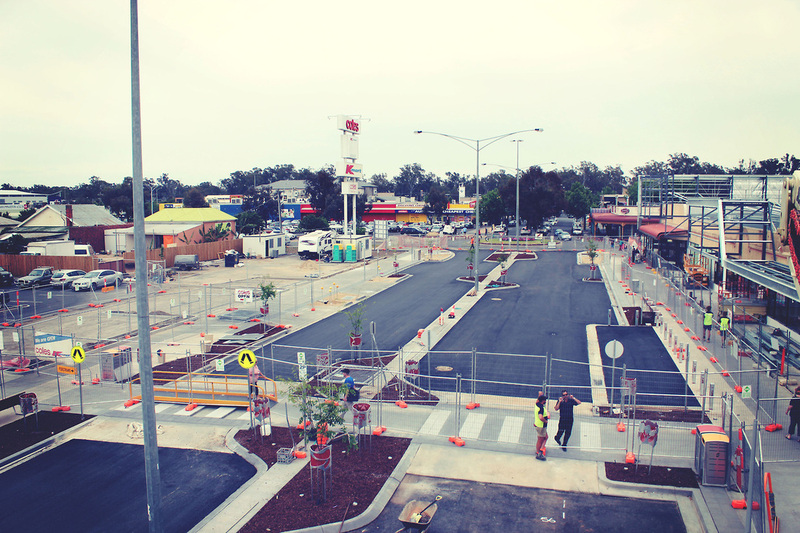 Stage one of this urban renewal project included clearing and excavating works, drainage, kerb and channel, paving, light pole, trees, signage, water main replacement and the installation of a new bike lane. 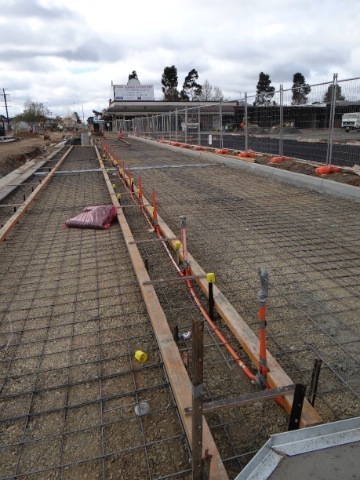 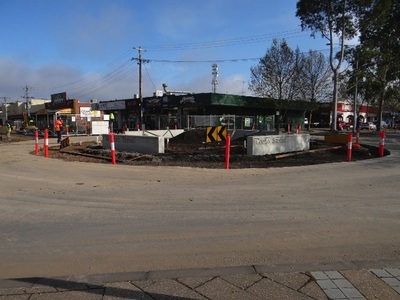 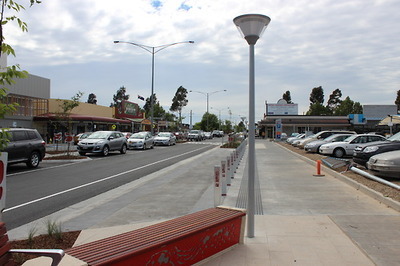 The $3.0m streetscape project took four months for Mawson Constructions to complete and saw the streetscape between Corio and Maude Street modernise and change dramatically. 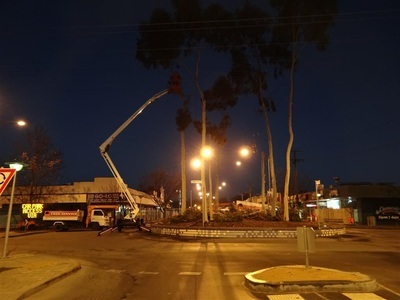 The contract managed by the Greater City of Shepparton incorporated a significant number of intricate street furniture items and for the first time in the municipality tree cells to minimise, if not eliminate the risks of asset damage from the proposed street trees. Significantly improved pedestrian safety - including raised pedestrian crossings and footpath along the southern side of Vaughan Street. 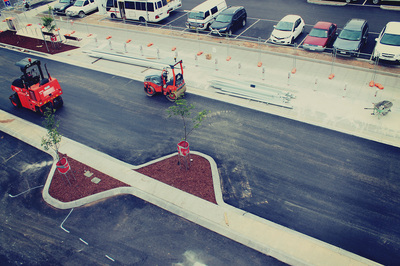 Removal of street trees will result in visible vegetation loss, however the removal of unsuitable trees and the placement of an avenue of trees more suitable to the environment with specialist root growth cells will enhance the streetscape in time. 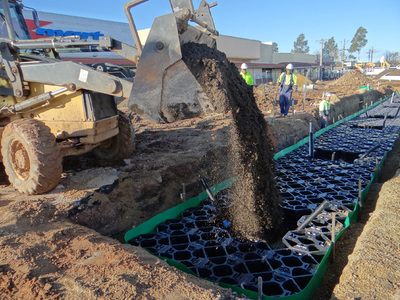 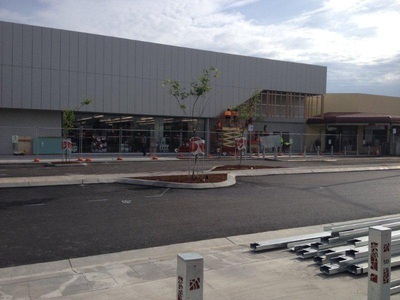 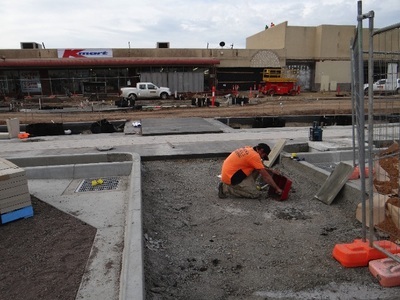 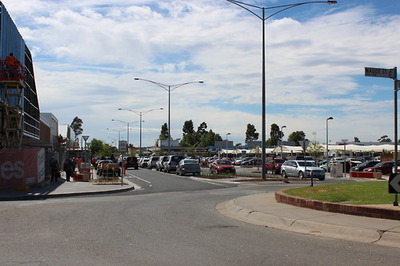 The completion of stage one set the benchmark for future street redevelopments within the Shepparton CBD and Mawson Constructions were privileged to be working with the municipality to deliver the works in time for the 2013 Christmas shopping bonanza.